This range of innovative variable airflow volume (VAV) controls are specifically designed to ensure the safety of your staff whilst they’re working with fume hoods and biological safety cabinets. Unlike most fume cupboard ventilation systems, which waste a lot of energy when the fume cupboards are not in use, a VAV reduces energy costs by up to 85%, and reduces your carbon footprint. Click here to read more. Our simple retrofit service will help you easily join the many other organisations that are taking steps to reduce costs and meet their carbon footprint targets. 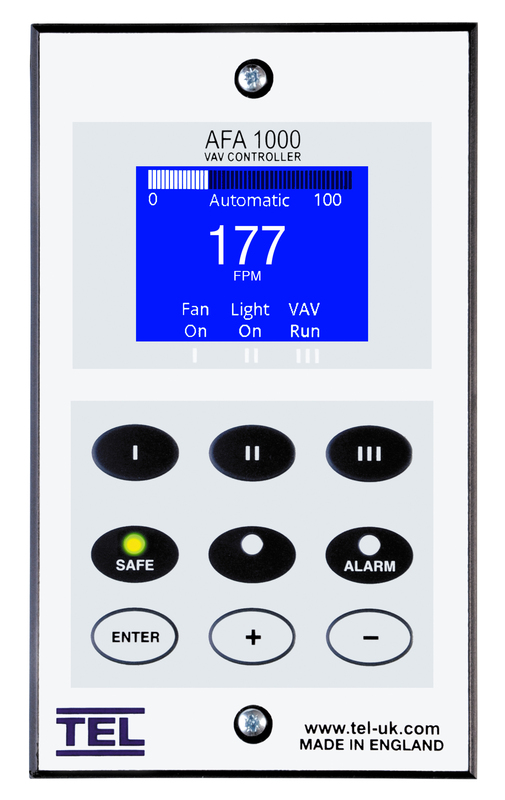 This digital airflow VAV controller is available with a range of remote unique airflow sensors that are used to measure face or duct velocities. The AFA1000/E is available flush (MK2) or semi flush (MK3). The addition of a dual output to the ADA1000/E allows control of secondary functions such as supply air damper/inverter control or fresh air bleed damper control. The AFA1000/RM model is wall mounted and suitable for controlling the supply of air into a room using a damper, valve or inverter. The AFA1000/BLD is a wall mounted fresh air bleed controller. This unit is designed to control the VAV system duct pressure using a fresh air bleed damper or fan inverter drive. 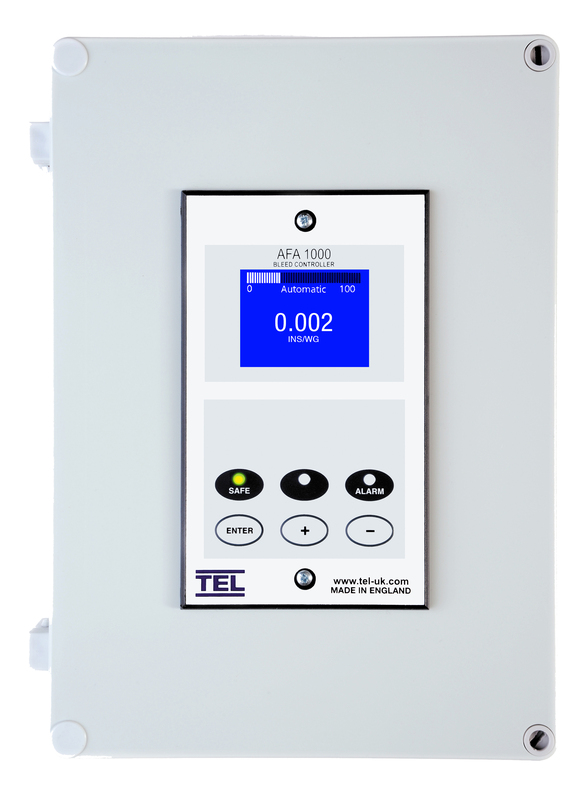 The wall mounted AFA1000/AHU is a pressure controller that uses an inverter drive to control the duct pressure of an AHU. This modulating damper actuator adjusts dampers in technical building installations. 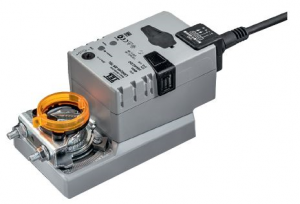 This modulating SuperCap rotary actuator has emergency control function and extended functionalities for adjusting dampers in laboratories and technical building installations. Talk to us today to discuss the best product for your requirements.